How can I change my date field to display the Month name, rather than the standard DD/MM/YYYY format, without writing any SQL? 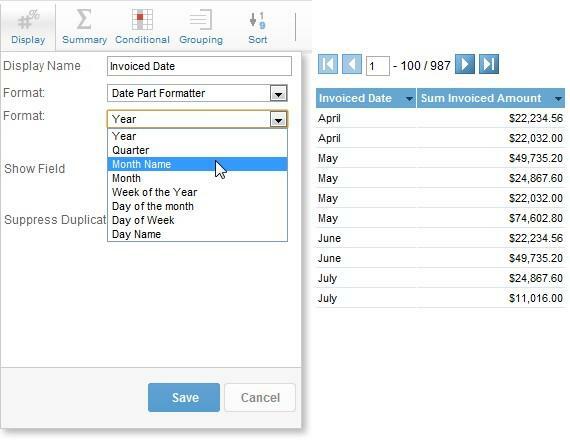 In the Invoiced Date’s Display Menu, set the Format option to Date Part Formatter and the second to Month Name. This will replace the date text with the name of the Month. Note: this option will not group the rows by Month, as they are still separated by the underlying dates. 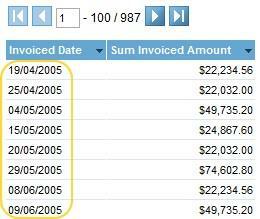 Again, format the Invoiced Date column, this time using the Date format and the Other option. This will allow you to enter a custom format to display. To display the whole month name type MMMM, or to display month name and year type MMMM, yy as shown below. Note: this option is also just masking the date underneath – the rows will not be grouped by month. 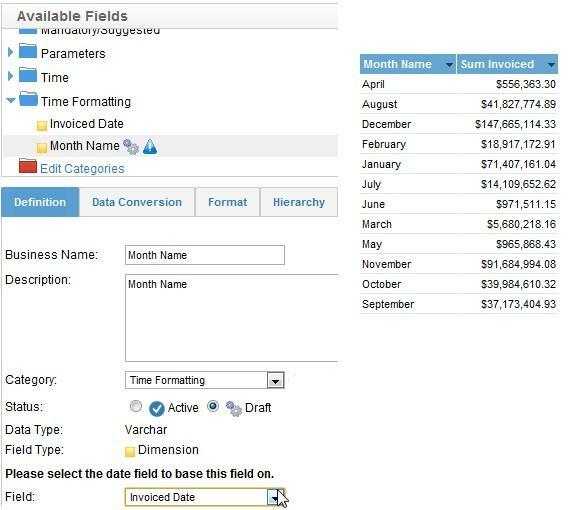 In the view, use the Month Name Date Hierarchy Calculated Field, and base it on the date you wish to format, in this case it’s Invoiced Date. This will return the name of the month as a text field. 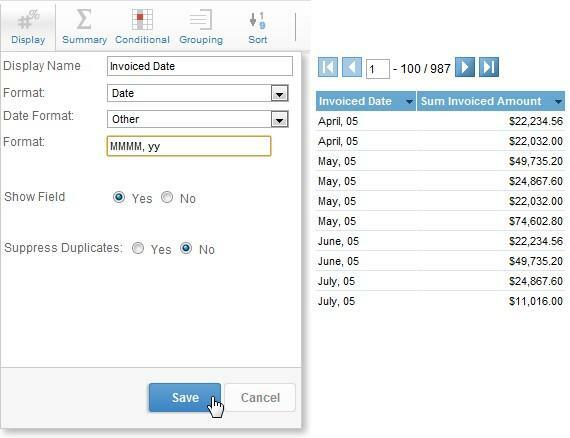 In this case, the rows in your report will be grouped by month and you may need an extra field or filter to differentiate between years. Note: this field is based on a database function and may not be available for all database types.